I have had a request from Red Cross, as representatives of Mancorsaric to help with the financing of a Maternal/ Child clinic. It is a project put forward by 19 communities in the area who are working together with several NGO’s to make this happen. I am in the process of doing my “due diligence” by having the budget examined by Plan International, and talking to the other organizations who would be involved. 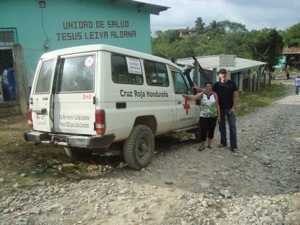 Barry and I travelled with the Red Cross to the community in the Red Cross van…….the roads (term loosely used) will give us a story to tell for a very long time. 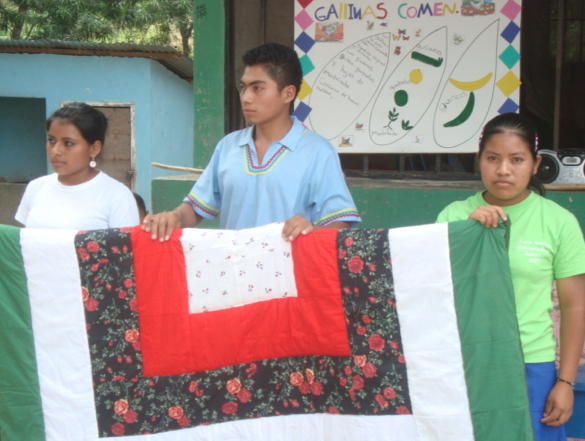 The orphanage in Copan has long been the concern of locals and foreigners alike. There were many concerns over the lack of physical care for the children and for sure, the lack of any play or socializing or quality care. Emily has, with a board of local Copanecas investigated possible solutions and decided to start a Day Care which will remove 9 of the kids from the local orphanage where the care is so poor, the surroundings filthy dirty, the food sub standard and the water not clean. She, with qualified staff will provide clean food and water, quality programming and attentive care for children of working moms for a minimal fee. I think it is a wonderful endeavor and wanting to support it in some way have arranged to have A Better World donate tables and chairs for the day care. 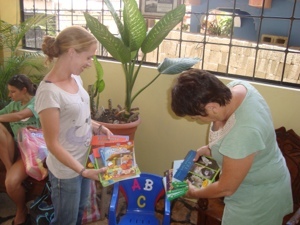 I have also donated some of the reading books that Hernan Nieto and I work together to send down to Honduras. We sell the tickets for around 5 cents and sold around 350 tickets. 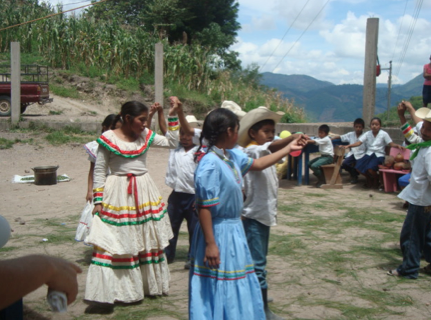 It is the only time that I have any of the community come to the school for our activities. it is a really difficult community to work with! And there was folk dancing and piñatas. September 2012 – Bryan… this one’s for you! 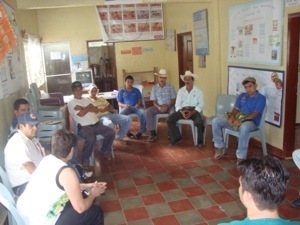 Bryan Butler from Canadian Peacemakers spent some time with the El Chilar community, particularly Professor Adin. I am sure Bryan wonders sometimes if what he says sinks in and make a difference. I’m telling you that in El Chilar it did. Yesterday we had a fiesta in El Chilar. 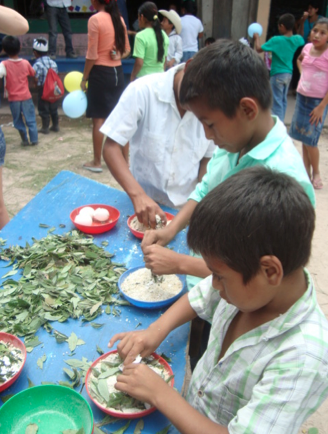 To earn the fiesta the students did projects that were to demonstrate what they learned from the chicken project. 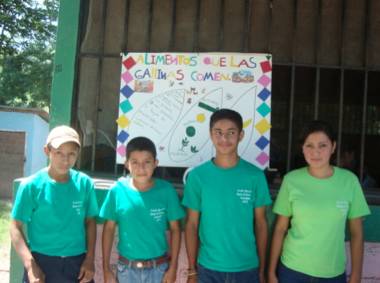 There were stories and poems and songs written to show their learnings …….the two posters were done by our Jr. Hi. Students and discussed what nutrients the chickens need as well as some of the problems encountered raising chickens. 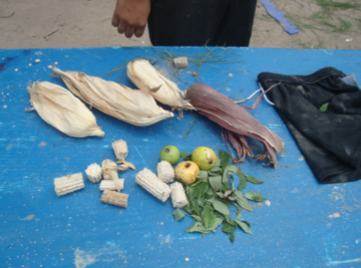 AND the kids did a demonstration of two ways to make chicken feed. Yes Bryan, they did learn what is needed for chicken feed. 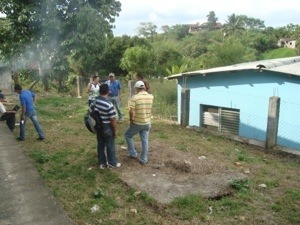 Several of the NGO’s in the area are working together to eventually have a clinic in Nueva Allianza. They are looking for funding for the albaniel wage in order to start the first phase of the clinic. They plan on building it in stages so the first stage would not provide anything functional but be the impetus to demonstrate intent to all the NGO’s involved to provide further funding. The people in the area have limited and sometimes no possible access to medical care. The child fatality rate is high. 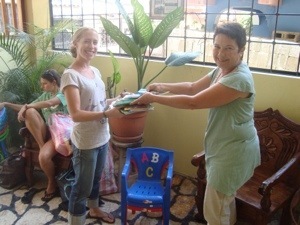 You are currently browsing the Carol in Honduras blog archives for September, 2012.